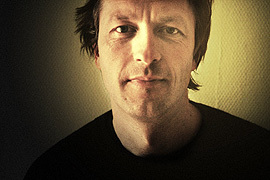 A top-level fantasist, Erik Wøllo provides the song - while his audience provides the story. 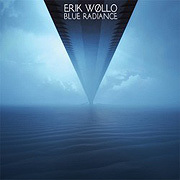 Blue Radiance (67'17") is made up of 11 expertly delivered, immaculately produced instrumentals. Leaving the listener drenched in wistfulness for air castles or a misty fantasy realm, this music advances along an intriguing dynamic arc. The listener follows Wøllo's composed currents through introspective still states, then to the focused charge of building rhythms - found amidst a highly listenable melodic and harmonic interplay. With synth strings keening through cavernous reverberation, and mounting percussion loops steadily energizing the listening space, authoritative guitar leads course ahead - and then take us back to the slow motion of more fragile forms. The purring energy of Blue Radiance comes out of Wøllo in his convincing guitar craft. Whether in clean plucked lines, fuzzed out tones, or completely synthesized structures, he brings forth an uncommonly expressive intonation. While possessing a certain command of his instrument, Wøllo always remembers to share its space with each track's tempo ornaments. It is this disciplined aesthetic that imbues Wøllo's work with its unique atmosphere, and allows us the freedom to drift off into easy dreams and pleasant mental wandering. This moving music seeks to transport us to a higher place. Not just above the clouds, but somewhere whither we will be left with some hope for the future.